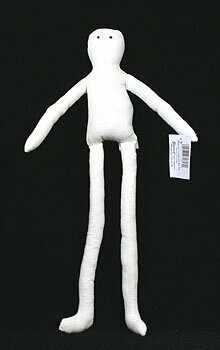 Let us introduce you to Bendee, a muslin covered doll that is padded and squishy. Bendee has a wire form so it strikes a pose and holds it. 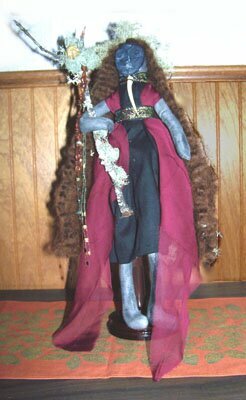 Bendee can be painted, clothed, embellished and turned into a prince or princess. There are no limits to this wonderful doll! Need to buy some? We sell them here in units of 6 or use the Buy It Now button below to buy individually. We other day we decided to have a Bendee Doll Workshop. We had no idea just how much fun we would have! Take a peek at some of the dolls that were made. It does not take much to make decorate these dolls. Grab some remnant fabric, fibers, embellishments, paint or whatever you have on hand! Use the simple Bendee doll face as is or cover it with a polymer clay mask. A Bendee doll project is perfect for any age range. Take a look at what a creative 4 year old did.